“What Could Go Wrong?” – We’re Glad You Asked! Social media is just media, and many of the same tried and true traditional marketing principles still apply. Social media marketing may seem like the wild west when it comes to laws, but it is not. As social media becomes an integral part of business, more rules and regulations are put into effect to keep businesses in check and to keep consumers safe. 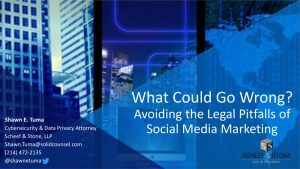 At this month’s meeting Shawn Tuma will detail some really basic social media legal issues that can be easily avoided. Shawn Tuma is an attorney internationally recognized in cybersecurity, computer fraud and data privacy law, in which he has practiced for nearly two decades. He is a Partner at Scheef & Stone. 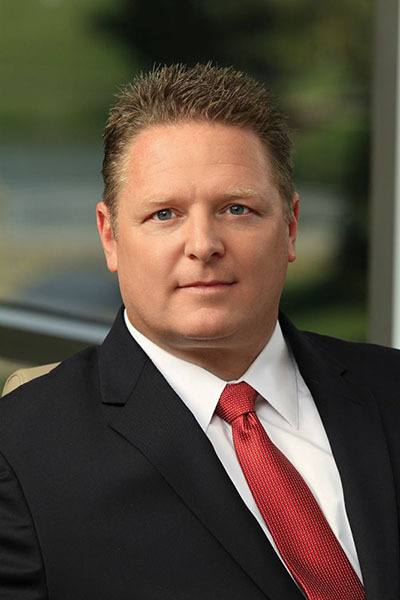 In 2016, Shawn was selected by the National Law Journal as a Cybersecurity Law Trailblazer and Texas SuperLawyers for the Top 100 Lawyers in DFW. He serves as General Counsel and Board Member for the Cyber Future Foundation, on the Policy Council for the National Technology Security Coalition, Cybersecurity Task Force for the Intelligent Transportation Society of America, Advisory Board of the University of North Texas Cyber Forensics Lab, and an Officer for the Computer & Technology Section of the State Bar of Texas, among many other activities.